Apologies if this is relatively easy to find, but what are these signs found along Quebec highways? I just randomly stumbled on one in streetview, and noticed that the first line is the highway number, but I don't know what the other numbers are. They don't seem to match up with kilometers, so I'm really curious, and couldn't find anything from Google. These are the reference markers (inventory markers in MTQ terms). However, Québec does not strictly use kilometres to locate a point on a highway. Highways are broken into trunks ("tonçons"), sections (which change at town lines, intersections with numbered highways, twinning starts and ends, maintenance or property lines, etc.) and subsections (mainline, dual carriageways, ramps, even rest/service areas). Those signs are usually only posted at section limits, but if it were to be in the middle of a section, it would also have a red section with a km+metre distance (8+352 for a sign at 8,352 metres from the start of section). If there is a second line in red, it indicates the total length of the section. They're usually a few kilometres long, occasionally over 10, hardly ever over 20. A MTQ employee would identify this exact location as 00138-01-074-000C-0+000. Move west by a metre and you're at 00138-01-071-000C-6+996. You can generally match the inventory in the MTQ GIS, the Atlas des Transports du Québec. Any guide to these signs in Quebec? Because the color schemes don't make as much to a lot of us Americans... even those of us with a vague familiarity of the distinctions between our signs and other Canadian signs. How? I think Quebec probably mirrors the color standards for MUTCD signs moreso than Ontario does. I will admit that they aren't exactly the same color wise, but these issues are minor, mostly between green signs and blue signs. It's not like you'll see a three sided white pedestrian crossing sign anywhere in Canada. These signs are told moreso in pictures/symbols due to French being the dominant language of Quebec, and the situation of being surrounded by English speakers on all sides. It's not perfect, but in that example, how do you convey in a picture that a stop sign is a 3-way stop? Due to a job change, I've been spending quite a bit of time shuttling between Hartford and Montreal. The only non-standard color that's registered in my travels is red for emergency phones (and honestly, that makes more sense than the blue of American signage), and the blue of the various tourist routes. I struggle more with the unique iconography, the all-French text signs...and my French being insufficient to order from Tim Hortons in Saint-Jean-sur-Richleiu. The last bit is probably the biggest inconvenience. How much time have you spent in Ontario, as the use of blue is completely different than that found in MUTCD, I’m not sure when logo BBSs started appearing in Ontario for services but prior to the adoption of those signs, the standard services had a white background with a brown legend for instance. Really, it was just that one time, where the wife and niece were in the car, and someone asked "what's a Tim Horton?" In my commuting, I've been taking my bio, caffeine, and petrol break just before crossing the border. I still need to work on the timing of my drive to avoid needing to camp out someplace to wait for the bridge traffic to ease. I actually did take some French when in school, but I never needed it until just recently...and with my having a lousy head for languages, I have trouble sticking with just French, and not drifting among other languages I learned to mangle bits and pieces of. I think the most striking difference between Quebec's signage style and that of the rest of North America is the use of red on white for curve warning chevrons. I think they look pretty sharp to be honest. Aside from that, as echoed above, I'd say that Quebec's signage manual more closely resembles that of more US states than even Ontario's does. These signs are told moreso in pictures/symbols due to French being the dominant language of Quebec, and the situation of being surrounded by English speakers on all sides. No. There was no such consideration in the 1920's ― Yiddish was deemed a menaced language in post-war Montréal, if something. The purpose of ideogrammatical signage was to provide safety on the road whilst a rising majority of drivers were illiterate ― something quite new at the time, as driving a car was a novelty exclusive to the rich (and educated) until then. J.-Omer Martineau, chief engineer at the Ministry of Highways of Québec implemented the system in 1923. A proposal for a universal signage standard based on Martineau's work among other was adopted at the 1949 Conference on road transportation, which paved the way for Vienna Convention. It's not perfect, but in that example, how do you convey in a picture that a stop sign is a 3-way stop? ^ All that's nice, but the signs in the link from the 1920s look pretty typical from what was being used in other surrounding jurisdictions. And they still contained a fair amount of text by modern standards. I think you'd need much more recent research to talk to modern highway signage standards. More modern information would also support your position, the post above doesn't at all. And starting a post off by writing "no." makes you sound like a jerk. Nunavut territory does that too in Iqaluit (I didn't see such signs in Nunavut's other regions, which might not even have any three- or four-way stops), though its mini-stop signs are in English or Inuktitut rather than French. I don't recall seeing similar signs in other Canadian provinces or territories. I like Quebec's approach, which is better than English-text-only signage in the states indicating the intersection is an all-way stop. 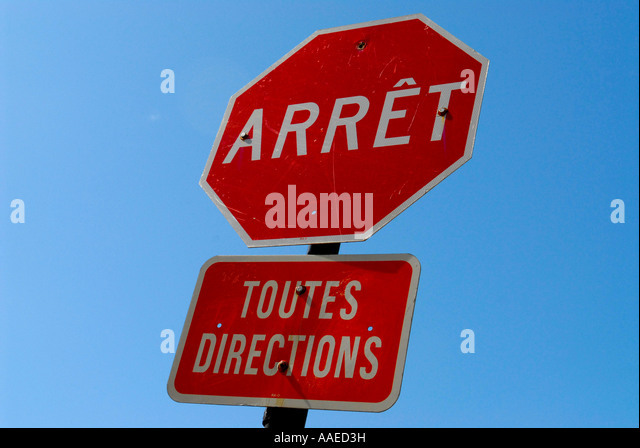 I like Quebec's four way stop signage as well. I'd be interested in reading text about the development of signs such as this, and similar, more symbol based signage. I'm not sure, but I'd suspect that a lot of signs like this were developed in the '70s. ^ All that's nice, but the signs in the link from the 1920s look pretty typical from what was being used in other surrounding jurisdictions. Yes. That just supports my point; it's not linked by any way to French/English language prevalence. I think you'd need much more recent research to talk to modern highway signage standards. Yes. I agree. But that was not my point. Ideograms replaced text for a question of safety; you can't read complex phrasings at high speed, at the risk of missing information or being distracted too long from the road. Especially when you can't read. That's my point; the need of developing a pictogram standard in the 1920's was linked to the prevalence of illiteracy, not the prevalence of French. Standards evolve. Never claimed the contrary. The historical research that is linked also reports that advertisement boards were dismantled and barns featuring ads were painted over, to provide for additional safety and improved scenery. If that pictogram have been developed as early as the 70's, it was not used until recently. I learned to drive 15 years ago, when "toutes directions" all-text, white on red tabs were ubiquitous and teached in guidebooks (you did not need driving lessons at that time). That leads me to think that the standard for the all-way pictogram tab is rather pretty recent. "Toutes directions" is still fairly common in Montréal. In regard to possible primary sources dealing with the development of traffic signing in Québec, annual reports of the Ministère de la Voirie are now online, and I think the same may also be true of the ministry's monthly magazine. If I had to take a guess on the date the current traffic signing system was promulgated, it would be in the late 1980's/early 1990's. 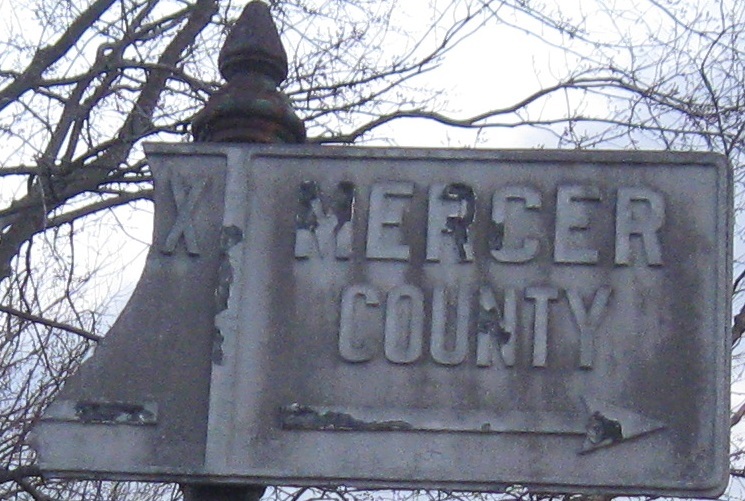 Signage from the metrication period (mid-1970's) is noticeably different from current signage. Moreover, in the US the bulk of symbol signs were introduced circa 1972 (in the wake of the 1971 MUTCD) and use a symbol set that is noticeably different from the one used for current Québec signage (the MTQ "sign human," for example, does not look at all like the FHWA "sign human"). Okay, that makes a little more sense. I supposed the yellow half-trapezoids are "Exit Only" related signs?